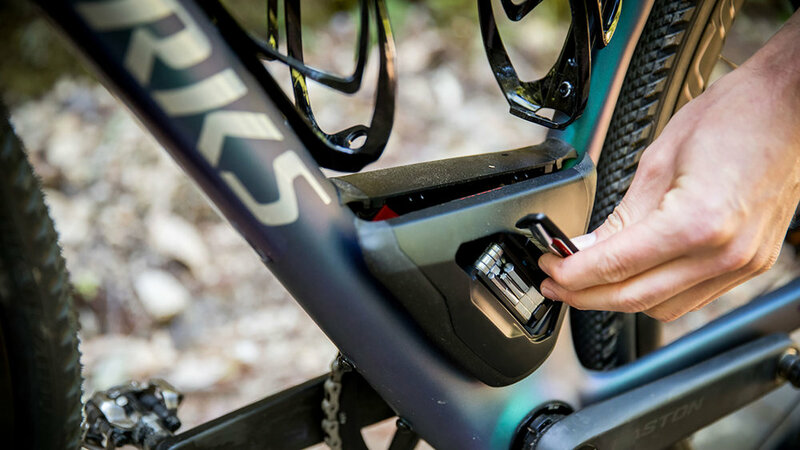 For 2018 Specialized further improved on their Diverge. Notable features include the Future Shock Progressive suspension system, front/rear thru-axles and the Road SWAT™ kit that fits various tools. This bike is ready for anything with clearance for up to 700x42mm or 650bx47mm tires, Plug + Play fender mounts and rack mounts. Photos © Specialized. 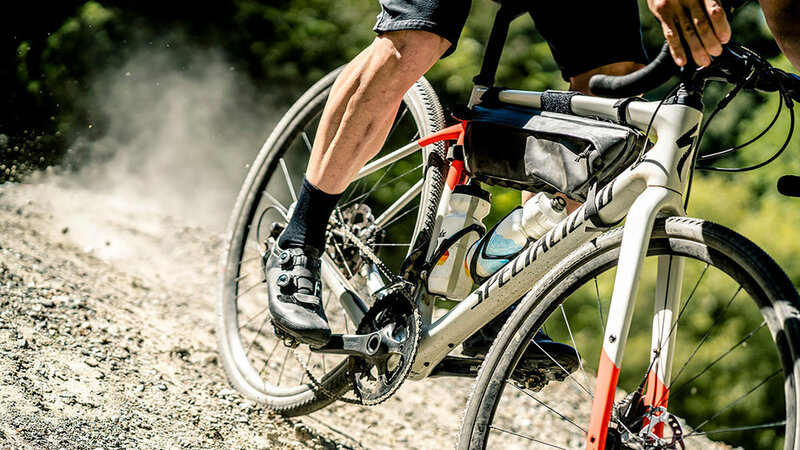 Its fitting that we start with the Diverge, after all that was my first gravel bike purchase. Although they are the big guy in the industry, we love that they continue to push the limits on innovation, design and ethical practices. 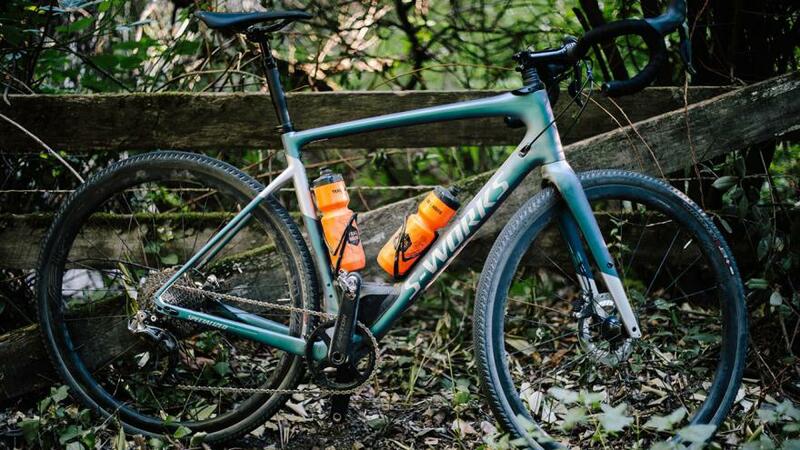 Specialized has a keen focus on the way they do business and its impact on our planet, and that's rad. This belief has led them to a role in working with the Outdoor Industry Association, the Sustainable Apparel Coalition, and the World Federation of the Sporting Goods Industry to establish standards for sustainable practices and better collaborate with the communities where their products are made. Read more about these efforts here. They are also doing some great things via their Specialized Foundation, where they promote cycling as a tool for children to achieve success in all aspects of life. Their support of medical research and bike-to-school programs aim to help kids who suffer with ADHD through investments in primary scientific medical research and school-based cycling programs. We can definitely get behind that!